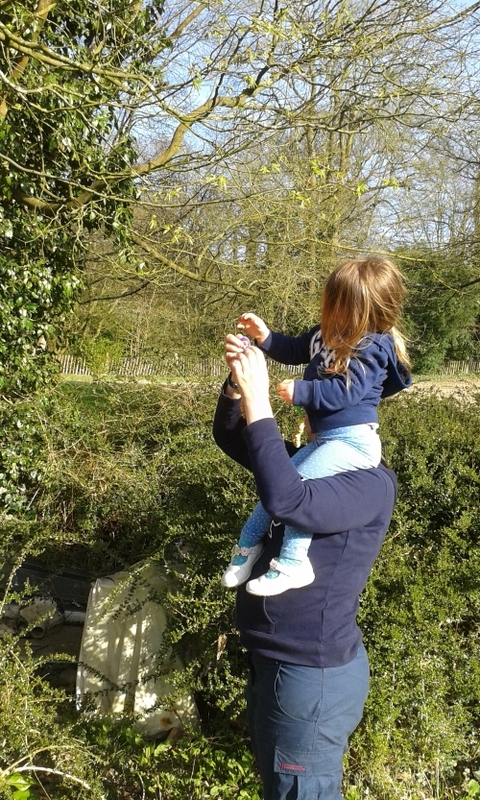 So what else is afoot in the great outdoors? 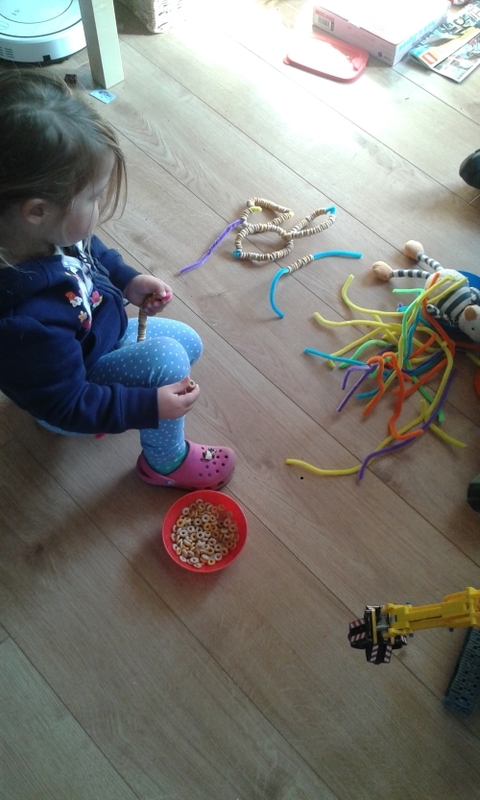 Miss Emily and Friends spent a considerable amount of time this weekend threading cheerios onto pipecleaners. 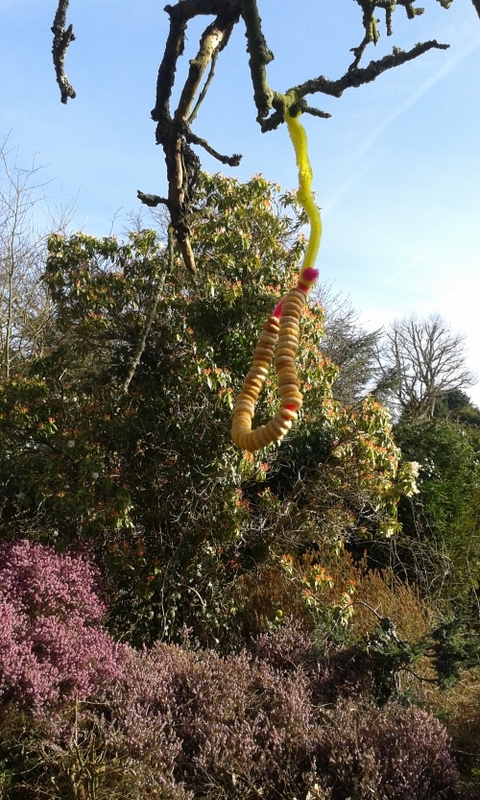 It’s good for fine motor control and, when hung up in the garden, the birds think it’s yummy. I do remain a little sceptical about what will happen when it rains though. If we did it again we would try to get some duller coloured pipecleaners as daddy thinks the brights are ugly (and he’s not wrong). I guess I’ve created a chore for myself as once they are empty, one way or another, I’ll have to go and collect them. 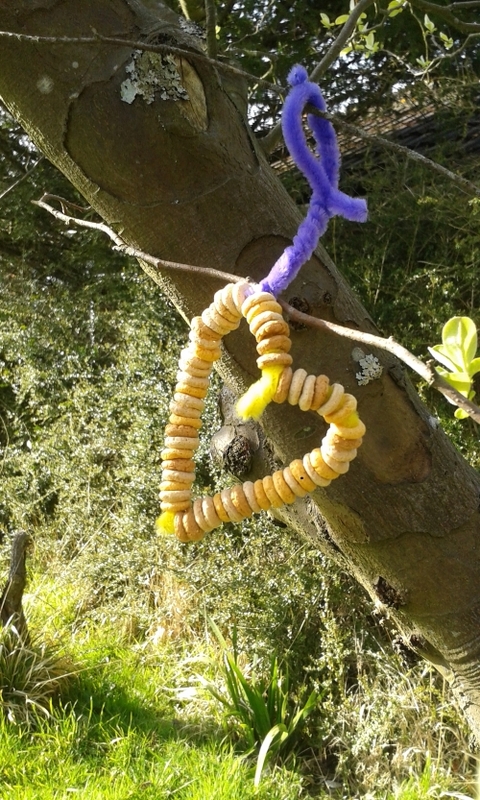 Will let you know if the birds actually eat them! We also planted seeds. Yes, quite possibly they won’t survive, but we planted them anyway! 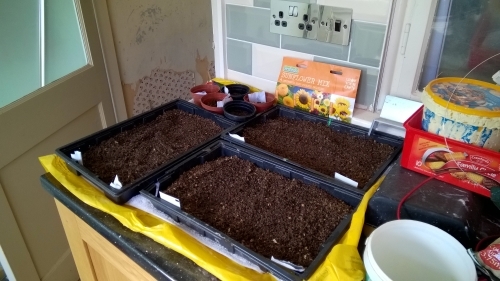 We filled some seed trays with sieved earth that Oscar has been digging out of his race track site (I’ll show you when he has finished but there’s nothing to see yet). Actually the sieving was a fun activity in itself, must remember to provide an earthy digging area with sieves and trowels and stuff once the rest of the earth works are sorted and there are no spots left for the kids to casually dig in. Seed packets were read and small fingers planted. This may not sound much to you, but its huge progress in our sensory defensive household. There was a little disappointment the next morning when nothing had grown. I blame pepper pig and her amazing overnight vegetables for that! I might even keep you updated on sprouting progress if we manage to keep anything alive! 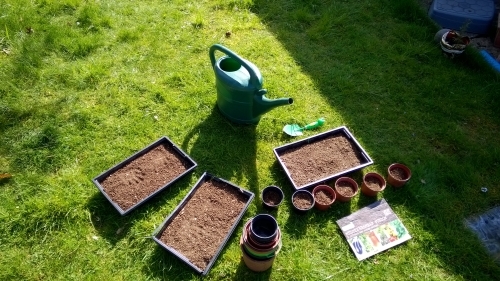 We planted 4 types of sunflower, peppers, chillies, tomatoes, chives, basil, rocket and something called spicy Chinese leaves. So presumably *something* will grow! I have no clue where we will plant any of it if it survives!